A FOCUS on work is the most important thing any young apprentice who wants to succeed in their chosen industry needs. Gladstone Area Group Apprentices Ltd makes traineeships easier for apprentices and employers by relieving employers' administration duties so companies can focus on teaching trainees the role. For Gladstone Area Promotion and Development Ltd events trainee Lisa Davies, becoming a global event planner of large-scale events is her next goal. "Getting into the training took a while but everything has been great," she said. "I love the people that we work with, just getting to know everything about events. "I would like to travel around the world planning events, plan big events like Eat Street in Brisbane, work at stadiums, all different types of events." The traineeship at GAPDL has been fruitful for Miss Davies, who completed two days of work experience at GAPDL as a Year 12 student. Feast on East Markets and cruise coordinator Brigitte James said they were so impressed with Miss Davies and her work ethic and attitude to learn and try new things. 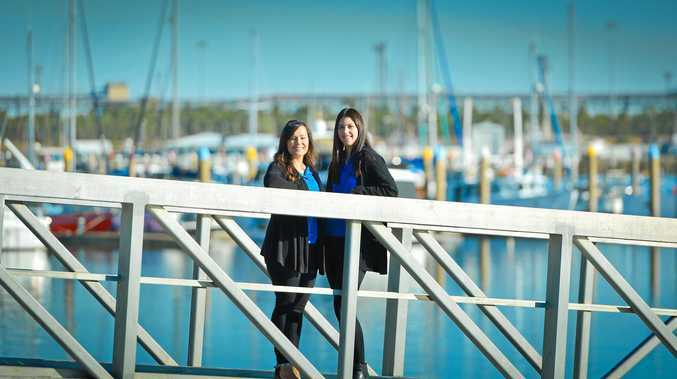 "The best part about having a traineeship is having a young person with a new fresh outlook on things and having them come in and really take control of their role," she said. For Ms James, not having to worry about the admin side is one of the big perks about partnering with GAGAL. "The reason we went with GAGAL was because they made it so much easier for us as an organisation," she said. GAGAL employs trainees and monitors their progress, and even organises pay and superannuation so employers can concentrate on teaching their apprentice. "Basically we can then put Lisa on and just really concentrate on showing her the role and not worry about any of the admin side," Ms James said. The traineeship has been a learning journey for both sides. "I learnt a bit about how the traineeship works just by going through with Lisa," Ms James said. "Before that, I didn't really know how it all works so it's opened my eyes up to how the traineeship works as well."